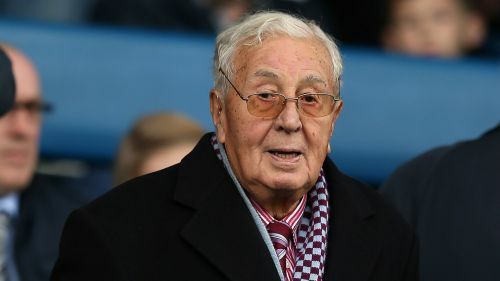 Former Aston Villa chairman Doug Ellis has died at the age of 94. Ellis had two spells as Villa chairman, the second of which began in 1982 when the club were the reigning European Cup holders. In 2006, Ellis sold the club to American billionaire Randy Lerner, with Villa having won the League Cup three times over his two spells and finishing runners-up in the first season of the Premier League. After selling the club, Ellis - who earned the popular nickname 'Deadly Doug' from former England striker Jimmy Greaves due to his love of salmon fishing - was named life president at Villa Park. A man who dedicated his life to #AVFC. Villa will hold a minute's silence and players will wear black armbands for their next Championship fixture against Swansea City on October 20.